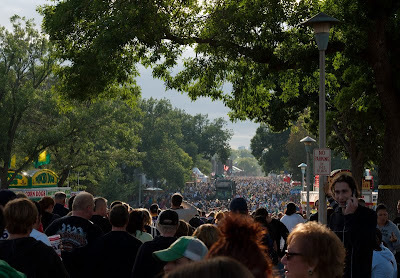 The lovely wife and I made the annual pilgrimage to the State Fair today. .... over 300 other possibilities, including 78 on a stick. There were a lot of people at the fair, including a dude on a cell phone near a no parking sign. 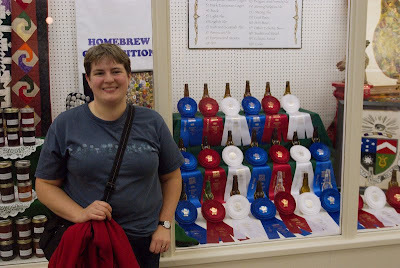 One of these massive blue ribbons is Erin's. Sadly none of the bottles were labeled, so we don't know which one was Erin's (or really whether hers was there at all, because there were 20 categories and only 10 blue ribbons), but just look at the size of that thing! 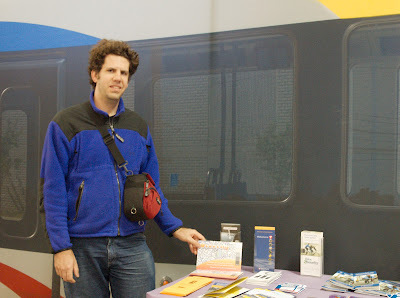 The literature table in the Eco Experience building had Cyclopath postcards. Sweet! 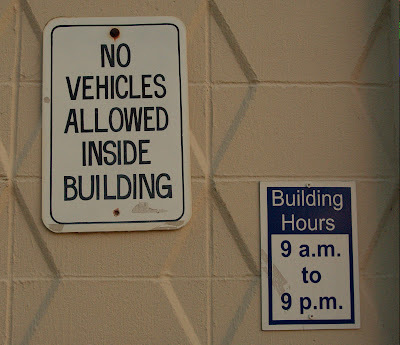 Do not drive your car into this building, especially before 9am or after 9pm. 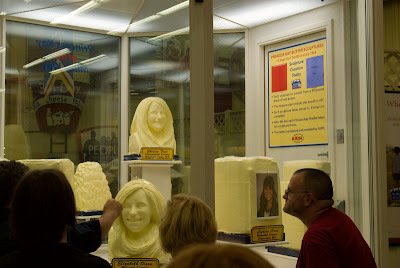 If you're nominated for Princess Kay of the Milky Way (yes, there's a Wikipedia page), you get a creepy likeness of yourself carved in a giant block of butter - which you then have to get to take home. 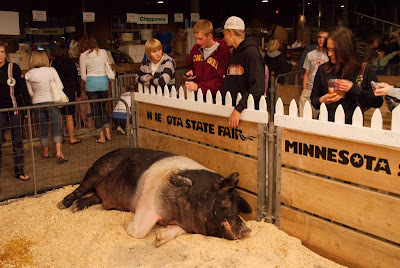 The biggest hog is quite large (~1,300 lbs), and generally very sleepy. And the piglets are very cute. 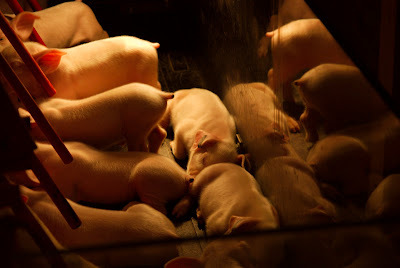 They also dislike being held upside down while having a rectal temperature taken and having an ear chewed on by another piglet (not pictured).